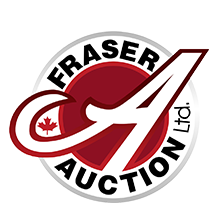 WAL-D FARMS LTD RETIREMENT AUCTION in Rapid City, Manitoba by FRASER AUCTION SERVICE LTD. TERMS: Terms offered on 2014 JD S680 Combine, s/n 0766461 & 2012 JD S680 Combine, s/n 0746270. Terms are: 25% down sale day by way of non-refundable deposit. Balance due on or before August 1, 2019 by certified cheque payable to WAL-D FARMS LTD Units will stay in the possession of the WAL-D FARMS LTD, until paid in full. Purchaser must insure unit at time of sale.